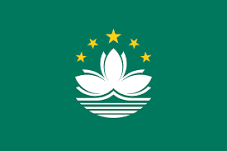 Macau’s official gambling regulatory agency, The Gaming Inspection and Coordination Bureau (DICJ), has issued a public advisory to all of Macau’s citizens that all forms of online gambling are considered illegal under Macau law. The move comes as a follow-up to moves made by Macau and its overseer, the (mainland) People’s Republic of China, to reign in corrupt gambling practices in the territory. A significant portion of Macau’s gambling revenue traces to the operations of casino-licensed junketeers, who serve as a money-laundering go-between allowing gamblers from the Chinese mainland and nearby Hong Kong to evade strict restrictions on the amounts of money they can actually bring to and gamble with in Macau. The clarification regarding the online gambling sites is likely intended to forestall another illicit gambling avenue connected with the thriving, though scaled-back, Macau gambling scene. 1. The only official website of the DICJ is www.dicj.gov.mo. 2. So far, the Macau Government has never issued any online interactive gaming license to any companies. Hence, all online interactive gambling websites in Macau are considered illegal operations. 3. The function of the DICJ is to monitor and supervise the various gambling activities. As such, the Bureau will not encourage, promote or operate any form of gambling activities. 4. Any unauthorized use of DICJ official website information and photos for promotional purposes without obtaining prior consent is an offense. The DICJ will not tolerate such illegal acts and will reserve the rights to pursue the matter through legal channel. The former Portuguese colony on the shore of Mainland China was transferred back to Chinese control in 1999, and since then has been transformed into a Pacific rim gambling mecca, passing Las Vegas as the world’s largest (in financial terms) such gambling destination. The territory’s once-thriving casinos, however, have posted nearly two years of continuing traffic declines in the wake of the crackdown by Chinese officials and their local face, the DICJ. Chinese and other Asian gamblers have moved much of their gambling business to other Asian Pacific countries in response, including South Korea, the Philippines, Malaysia, Australia and other countries. Still other Macau gambling activity has been been shifted online through various illicit sites, though none of those are directly associated with Macau’s handful of outsized casino-destination resorts. The clarification by the DICJ, however, removes any possibility that some of those casinos might consider launching online operations to recover some of that dwindling land-based revenue. It appears to me that Macau casinos are way past the “might consider” phase as most have online websites. Some may just be scams pretending to be related to the popular Macau casinos, but others definitely are the real thing and probably thriving in the confusion generated by all the unlicensed sites targeting Asian countries.